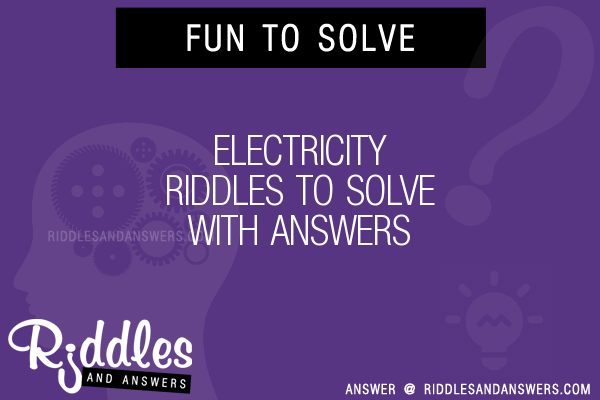 Here we've provide a compiled a list of the best electricity puzzles and riddles to solve we could find. The results compiled are acquired by taking your search "electricity" and breaking it down to search through our database for relevant content. How did Benjamin Franklin feel about discovering electricity? In the drawer beside your bed, you have three orange, two pink and five purple balls. There is no electricity and the room is completely dark. How many balls you must take out to make sure you have one ball of each color at least? To find out the required number of balls, take one in place of the least number (i.e. take one pink ball) and then add all the greater numbers (i.e. three orange and five purple balls) to it. Required number of balls = 1 + 3 + 5 = 9.